Stuck on road with a flat tire? Looking for a flat tire service in Calgary and its surrounding areas? We are here to help you. 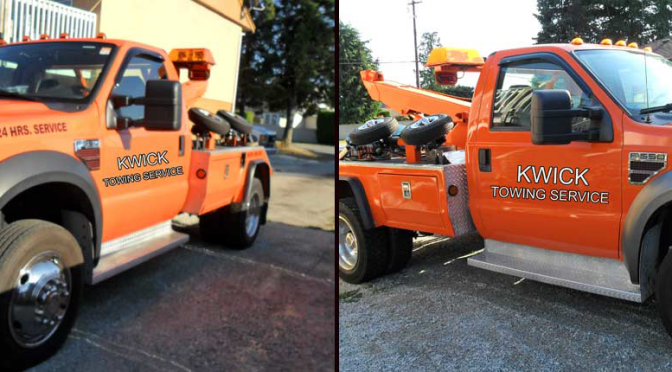 Kwick Towing offers wide range of emergency roadside assistance and towing services in Calgary and its surrounding areas. If you are thinking about changing the tire yourself, keep in mind: the numbers of tragic accidents happened while changing tire on the side of road. That’s why we recommend you to call your nearest towing and roadside assistance service provider. In Calgary and its surrounding areas, we help you with 24/7 on site flat tire change services. In Calgary, we and our technicians, drivers and mechanic are here around the clock. Once we receive your call, one of our technical expert and driver will be dispatched with a spare wheel and the mobile truck full of repair equipments for your location. It is our promise we will be there in maximum 15 to 20 minutes. You can also ask for price quote. Our prices are the most competitive in the industry.